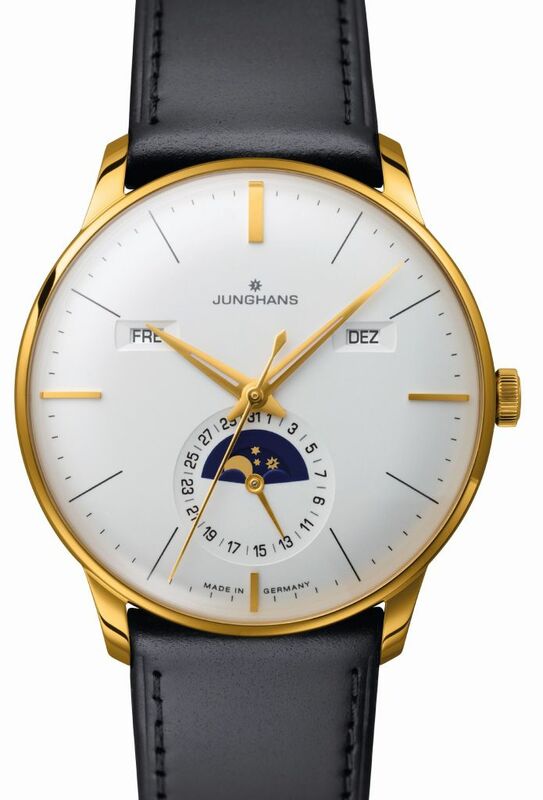 German watch brand Junghans expands their iconic Meister collection with two new complications – Meister Kalender and Meister Agenda. With the Meister Chronometer Gold Junghans is also continuing the limited collector series in real gold this year. The range is rounded off with the Meister Damen, a feminine interpretation of the traditional timepieces from Junghans. 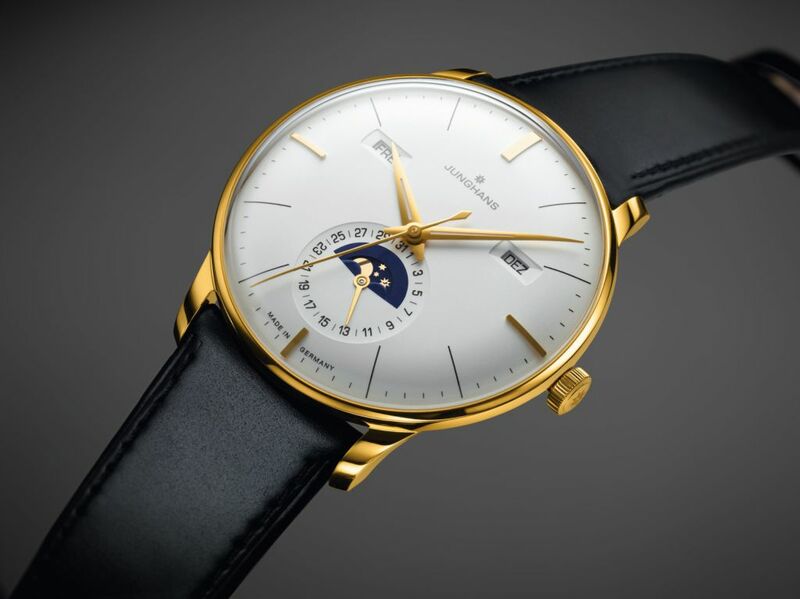 Production of the first Meister models in the 1930s heralded the dawn of a new era for Junghans. In addition to their appearance, the Meister watches are characterised by their intricately refined movements. By 1936 the calibre J80 was already equipped with a central second, for example. The finest model was the J80/2 movement, decorated with Côtes de Genève, viewed as the centrepiece of the Meister watches. From 1951 the Meister models also benefited from the J82 chronometer movement with its unusually large screw balance, which was perfected continuously until its production ceased in 1960, having been fitted to thousands of officially tested chronometers. The current Meister range stands once again for the mechanical expertise in watchmaking at Junghans, further underscored by the “Made in Germany” seal of quality. Limited to just 99 timepieces, the Meister Chronometer Gold is a stylish combination of classic design and the highest accuracy. The delicate interaction between the 18-kt. rose gold case and the ivory-coloured dial enables the classic face of the Meister Chronometer to shine in the warmest of hues. 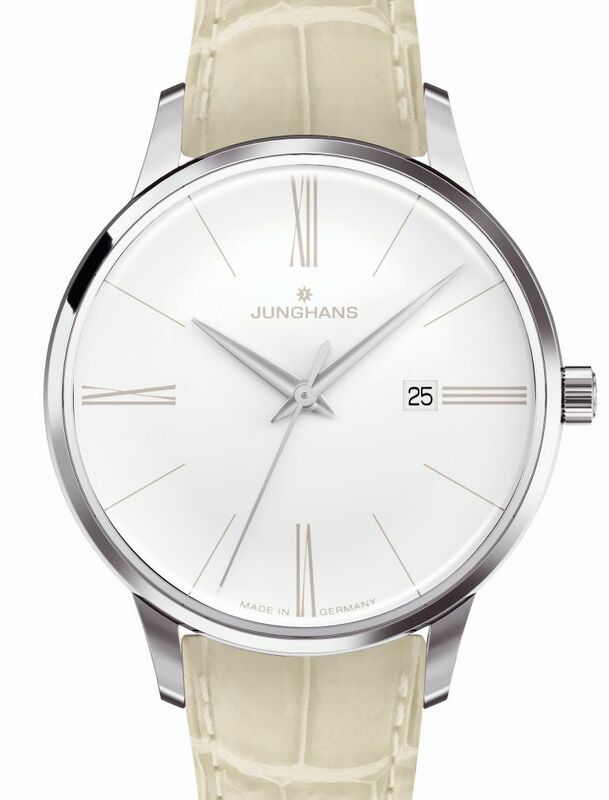 Equipped with the J820.1 movement, the model has references to the 1950s, an era of significance for Junghans, when the company was the third largest manufacturer of chronometers worldwide. Like the current Meister Chronometer, the historic chronometer calibre J83 was already equipped with an automatic winding mechanism. Today, it is still viewed as one of the finest movements to be manufactured in Germany. As a continuation of its historic predecessor, the new Meister Chronometer Gold manifests a strong historic connection. As in the J83, it contains a hairspring in Nivarox 1 quality manufactured by Carl Haas, with the blue colour exclusive to Junghans. It makes a major contribution to ensuring that the Meister Chronometer Gold receives its official certificate of accuracy. With the unusual blue hairspring and the fine limitation Junghans highlights the exclusivity of this watch. The moon has been a key companion to mankind since time immemorial. It helps provide orientation regarding time and space, controls the tides of the oceans and is extolled by poets as a mystical heavenly body. The energy and grandeur of the moon has inspired the watchmakers at Junghans to offer this heavenly body a worthy stage in a Meister watch. The clear positioning of the week day and month outside of the centre of the dial means that the Meister Kalender enjoys optimal legibility. In keeping with the rest of the range, the moon phase with date display has a bowl-shaped bezel, which lends the timepiece its masterful appearance. The design of the Meister Kalender is harmonious down to the tiniest detail, with the stars of the moon display glowing in the respective case colour of silver, yellow or rose gold. One highlight can be discovered when viewing the heavenly bodies: a Junghans star, lighting up the firmament. The Meister Agenda is a precious watch in more than one sense of the word. It combines fine aesthetics with unusual complications. In addition to displaying the week days and date, calendar week and power reserve also have their bowl-shaped place on the dial. The Meister Agenda facilitates the planning of activities with its calendar week display making it ideally suited to the requirements of business life. A Junghans-specific movement modification that positions the day display in a window lends symmetrical order to the individual functions. The dial is set in a stainless steel case with a diameter of 40.4 mm, with an optional gold-coloured finish. High-quality straps in alligator leather, horse leather or stainless steel round off the elegant appearance of the Meister Agenda. The mistress of the Meister range: the feminine interpretation of the historic classic, the Meister Damen, has a particularly fine appearance. Long, graceful Roman numerals at three, six, nine and twelve o’ clock lend it a classic appearance. The sophisticated look and traditional design elements provide a skilful link to the modern accents of the dials, in the contemporary colours of mocca and crème. 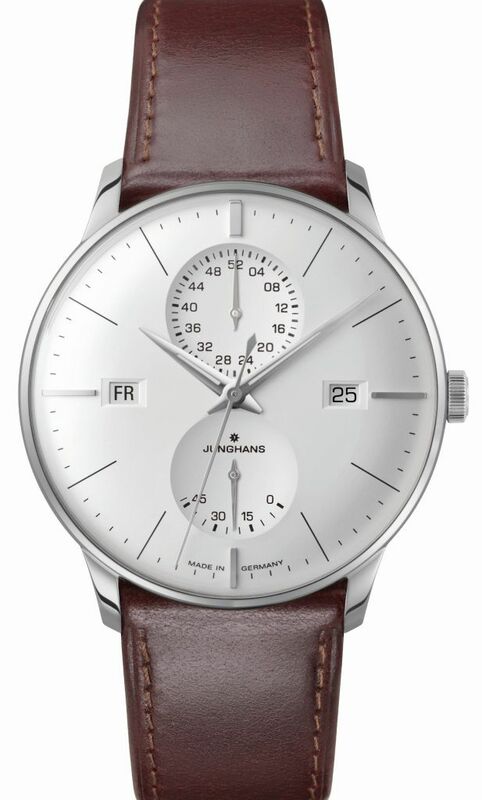 For lovers of the simple, technical look Junghans has created a further model completely in stainless steel. The Meister Damen is completed with a third, elegantly shiny model, whose diamond appliqué means that it is not only the face of the watch that is radiant. The premium material is rounded off to perfection with a strap in crocodile skin or stainless steel.